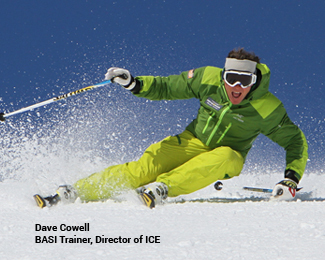 The ICE Masterclass BASI Level 1 & 2 prep course is an amazing opportunity to transform your skiing. You will be coached by our small, select team of trainers Mark Jones, Rupert Tildesley, Rupert Goldring and Dave Cowell. All of these guys have hit the highest levels of pro coaching, they are all trainers for BASI, which means that their full time roles are to train and assess ski instructors. 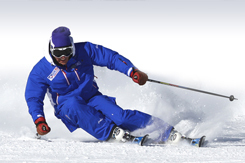 They have also all represented Great Britain in the BASI demo team, and have travelled worldwide demonstrating the highest level of skiing while delivering workshops to other alpine nations. They will be totally focused to move you up to the next level in one week! The Preparation course is an intensive week of training that is designed to help you prepare for Level 1 or 2 BASI exams. 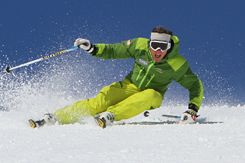 The course is delivered exclusively by ICE coaches who are trainers for BASI and know exactly what is needed to get your skiing to the next level, whether it is BASI level 1,2,3 or 4, or to simply get perfectly prepared for the winter. 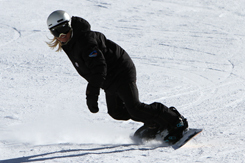 Coaching is either all day or half days, everyday from Monday to Friday, with a strong emphasis on developing key skills, including carving, short turns, and accurate skiing in difficult conditions to meet the assessment criteria for the specific level. In the evenings there is video feedback and presentations on various aspects of high performance skiing. 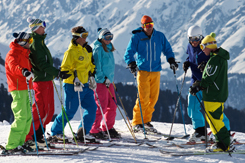 There is also a strong emphasis on equipment selection and preparation, in Val D Isere there is the opportunity to test the latest 2020 skis and have a full check of your ski boot set up. Exam preparation and level finding.